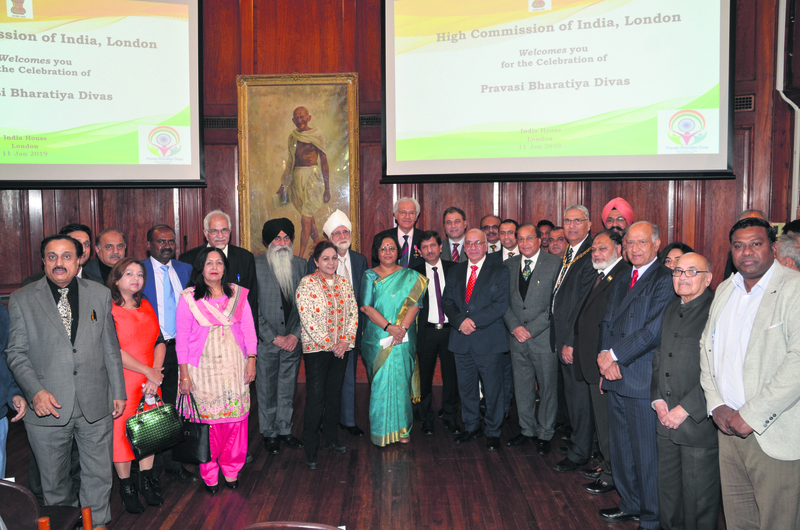 The High Commission of India organised the Pravasi Bharatiya Divas UK chapter on Friday 11th January in the High Commission of India. Pravasi Bharatiya Divas (PBD) is celebrated once in every two years in India to strengthen the engagement of the overseas Indian community with the Government of India and reconnect them with their roots. During the Convention, selected overseas Indians are also honored with the prestigious Pravasi Bharatiya Samman Award to recognise their contributions to various fields both in India and abroad. Speakers at this evening's event included Lord Karan Bilimoria, Lord Ranbir Suri, Virendra Sharma MP, Former Mayor Neena Gill, Nat Puri, Dr Rami Ranger CBE to name a few. Deputy High Commissioner of India to UK, Charanjeet Gill spoke about their new consular services in the UK that includes helping people with their applications and issuing urgent emergency certificates at the India House premises. The hall in the ground floor has been refurbished, providing services to people in any consular services they need. The phone lines are now open every day and even on holidays and officers are there to answer all the queries. They are also planning to make the VFS an appointment free system, to ensure people are welcome any time. The High Commissioner of India to UK, Mrs Ruchi Ghanashyam told the audience, “The diaspora has gone out of India, and made us proud. There is a change in the way people look at the diaspora today. Diaspora itself also responsible for that. They have imbibed good values in their children. It is not about brain drain but it’s about brain gain through their experience and skills. Having all of you here is a joy for us. “We are really focussed on giving expedited services for the benefit of people. The public response unit is the best performing so far. Including the telephone line. It is tried and tested. We want to do better. We are willing to receive crisp criticism.